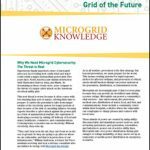 This is the second post in a Microgrid Knowledge series and focuses on why clean energy microgrids for health care and hospitals make sense. In most businesses, costs are a paramount concern. Hospitals are not most businesses. At a hospital, loss of electricity can lead to loss of life. So for hospitals, reliable electricity has a very high value. That makes hospitals prime candidates for the installation of clean energy microgrids. That was brought home in 2013 after the terrorist attack at the Boston Marathon. Area hospitals were pushed to their limits, and that changed the perspective of many administrators. One area hospital was contemplating the installation of a CHP plant as part of a new facility. Typically, the decision to move forward with such a project would be heavily weighted on the economic benefit. But after the attack, this particular hospital “saw things in a whole different light,” says Michael Bakas, senior vice president at Ameresco. Economics were no longer the primary driving force. Instead, the first concern was the ability to act as a last line of defense for the city in a crisis. The hospital could not lose its power; it had to be able to “island” or operate independently from the surrounding grid should disaster strike. Unfortunately, that is a lesson that has been driven home several times in recent years—whether it is the Boston terrorist attack, the record flooding in Houston from Hurricane Harvey, the devastation in Florida from Hurricane Irma, the destruction of Puerto Rico’s grid from Hurricane Maria, or the near shut-down of New York City from Hurricane Sandy. Hospital administrators have had ample chance to gain firsthand experience of the importance of uninterrupted electrical service. Existing safety regulations already require hospitals to have some form of backup generation, such as diesel generators. But when Sandy slammed into New York City in 2012, backup generators and other electrical systems failed at Bellevue Hospital, New York University’s Langone Medical Center, and at Coney Island Hospital, resulting in the evacuation of hundreds of patients during the storm. More recently, Hurricane Maria left hospitals in Puerto Rico unable to operate on patients, and undertake other critical procedures, because generators ran out of diesel fuel. Backup generators may fulfill regulatory requirements, but they do not always perform when they are needed. In the 2003 Northeast blackout, half of New York City’s 58 hospitals suffered failures in their back-up power generators, according to the U.S. Environmental Protection Agency. Part of the problem is that backup generators sit idle most of the time. Despite regular testing, they can fail when needed. Hospital microgrids, on the other hand, include some form of generation that operates on a regular basis, avoiding surprises when an emergency does hit. Hospitals that use a lot of steam, hot water, air conditioning and heat often benefit from CHP, which allows them to get two forms of energy from one clean fuel. CHP plants use the waste heat created in power generation, a byproduct typically discarded. This makes CHP a highly efficient form of energy. Those were among the motivations when the New York State Research and Development Authority instituted the NY Prize, a program to aid the implementation of microgrids for critical facilities in the state. More than half of the 11 communities that were finalists in the $40 million program included hospitals in their projects. The Town of Huntington on Long Island, one of the award recipients, is building a microgrid at Huntington Hospital with a 2.8-MW fuel cell and a battery storage facility that will enable the microgrid to island from the grid. 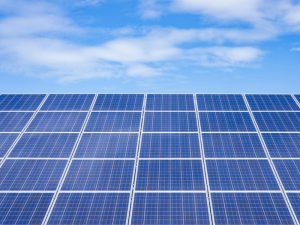 The Buffalo-Niagara Medical Campus, another NY Prize recipient, is strengthening its existing backup generators with a new CHP system, solar panels and battery storage to enable islanding. While resilience and reliability may be compelling reasons, they are not the only motivation behind hospitals’ adoption of clean energy microgrids. According to a 2013 survey conducted by Johnson & Johnson, nearly 90 percent of hospitals reported that they were incorporating sustainability into their planning process. Because of their software intelligence, microgrids are able to manage a hospital’s energy resources, so that the cleanest generation is used first. Being a good citizen is part of the rationale, but the falling prices for solar panels and battery storage makes choosing a microgrid a wise economic decision, as well. That is particularly true as hospitals face growing budgetary concerns. Hospitals are heavy energy users, making them particularly vulnerable to rising energy costs. Even though hospitals account for less than 1 percent of all U.S. commercial buildings, they account for 5.5 percent of commercial building energy usage. In addition to providing resiliency and reliability, an intelligent hospital microgrid can monitor grid electricity prices throughout the day and switch to its own lower cost energy when grid prices spike. By shaving the top off those energy peaks, a hospital can also lower its demand charges because those charges are based on peak usage. Taking the first step in installing a microgrid could impose a hefty financial burden on a cash strapped hospital, but the rising popularity of microgrids has spurred financial innovations that can ease that burden. 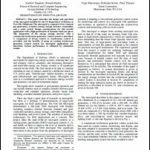 By signing a power purchase agreement with a microgrid developer, for instance, a hospital pays only for the energy it uses from the microgrid and shares any savings while the developer handles installation and operation and maintenance. Hospitals are just one of society’s pillar organizations turning to clean energy microgrids. Higher education is another. We explain why in the next post. 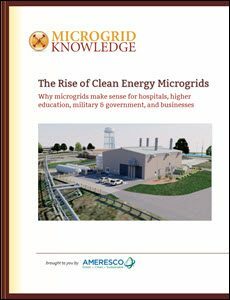 Download the full report, “The Rise of Clean Energy Microgrids: Why microgrids make sense for hospitals, higher education, military & government and businesses,” downloadable free of charge courtesy of Ameresco.